Harry Walters attended to the University of Maryland and was a 12th round draft pick of the Denver Broncos in the 1975 NFL college draft. Walters joined the Winnipeg Blue Bombers in 1975 and had an instant impact as one of the top linebackers in the CFL, winning a West All-Stra in his first season. In his second season in 1976, Walters won both West and CFL All-Stars. Walters ended up playing four seasons with the Bombers (1975-78), before being traded to Hamilton prior to the 1979 season. Walters was traded to the Tiger-Cats alson with defensive end Jim Heighton for Marv Allemang and a 1980 draft pick. Things seemed to fall apart for the all-star middle linebacker after that. Four games into the 1979 season, Walters suffered a season ending knee injury. While the knee was supposed to be back to 100%, Walters was traded again for 1980 to Edmonton for another linebacker, Carl Crennell. Edmonton already had Dan Kepley at middle linebacker, but Edmonton planned to go with a four linebacker defence which they had tried in 1979 with Crennell and Kepley. Walters, however was injured in the pre-season and didn't return to play until September. By then, Edmonton was back to a three linebacker set and they didn't need Walters anymore. 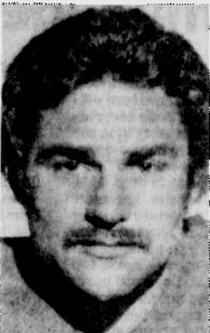 Walters ended up playing just one game for Edmonton in 1980. in 1981, Wlalters had a tryout with the Saskatchewan Roughriders before being released before the season started. Walters had 13 career interceptions and 10 career fumble recoveries. There were no tackle or quarterback sack stats kept during the years Walters played.